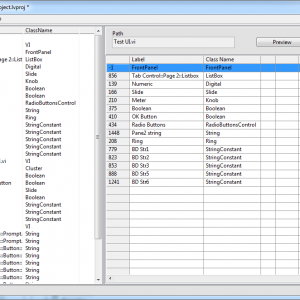 The SET Localization Toolkit provides more convenient edit-time language switching support for LabVIEW 2013 projects. UI text is extracted from an existing project and stored in a localization file. Additional languages can be added then applied to the project using the apply language wizard. The idea is to be able to quickly apply a language to a project before distribution. Applying the language at edit-time allows you to fix up the UI in the target language. Change fonts and re-size controls so that it looks right before compiling it. - No modification of project's source code required. No additional dependencies. - Support for switching code pages. - Ability to define shared resources. - Resources referenced via UID. 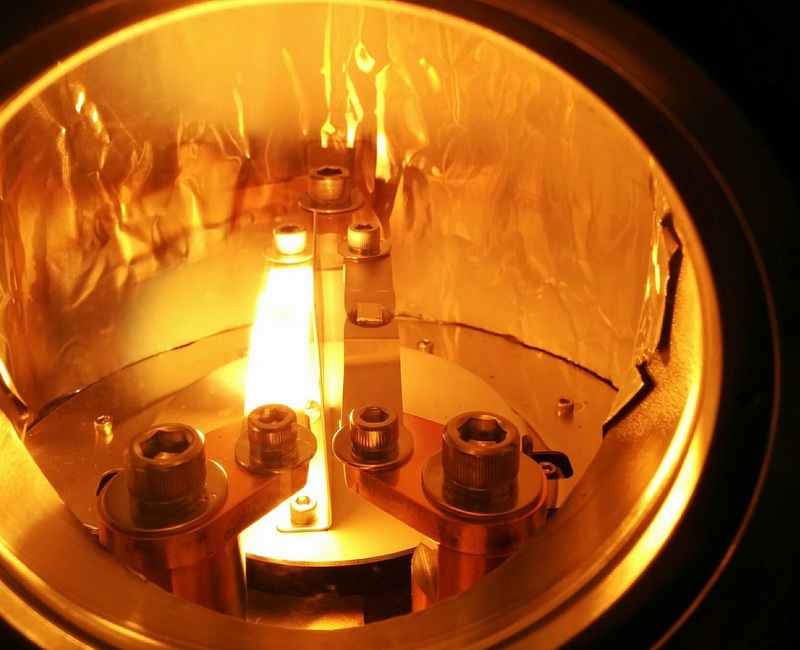 Changing labels of control does not break linkage. - Resources can be exported to CSV file for external translation. - Resources stored as UTF-16LE text. - Ability to translate RTM files. - From within any LabVIEW window, select "Tools->LAVA->SET Project Editor"
This package contains an open source Modbus master library for LabVIEW. It has been developed by Plasmionique Inc. as a replacement for NI Modbus V1.2.1 and provide an open source alternative to the NI Modbus Community API. It supports RTU, ASCII and TCP modes with the following function codes: 0x01 - Read Coils 0x02 - Read Discrete Inputs 0x03 - Read Holding Registers 0x04 - Read Input Registers 0x05 - Write Single Coil 0x06 - Write Single Register 0x07 - Read Exception Status 0x0F - Write Multiple Coils 0x10 - Write Multiple Registers 0x16 - Mask Write Register 0x17 - Read/Write Multiple Registers 0x2B/0x0E - Read Device Identification Additional Features: Built-in resource locking simplifies the sharing of a serial port with multiple Modbus slaves or sharing a Modbus session across multiple threads. Examples are included in "<LabVIEW>\examples\Plasmionique\MB Master\": MB_Master Comm Tester.vi: Demonstrates usage of API to open/close connection and communicate with a Modbus slave device. MB_Master Multiple Sessions.vi: Demonstrates usage of API to open concurrent Modbus sessions. 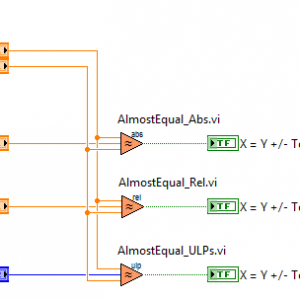 MB_Master Simple Serial.vi: Demonstrates polling of a single input register over serial line. User guide is included in "<LabVIEW>\help\Plasmionique\MB_Master - User Guide.pdf". This package contains VIs for reading and writing to CSV files that follow the CSV format outlined in RFC-4180 (see http://tools.ietf.org/html/rfc4180). Using this package, you can properly import CSV files that were exported from spreadsheet programs such as Microsoft Excel, Open Office or LibreOffice Calc as well as export CSV files that will be compatible with any program capable of interpreting CSV files. This implementation of the CSV format is capable of handling escaped fields such as those containing commas (or other field delimiters), multiple lines, and double quotes. 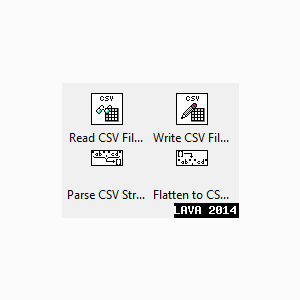 - Starting from V1.1.0, library files are located in "<LabVIEW>\vi.lib\LAVA\Robust CSV" and example is located in "<LabVIEW>\examples\LAVA\Robust CSV".